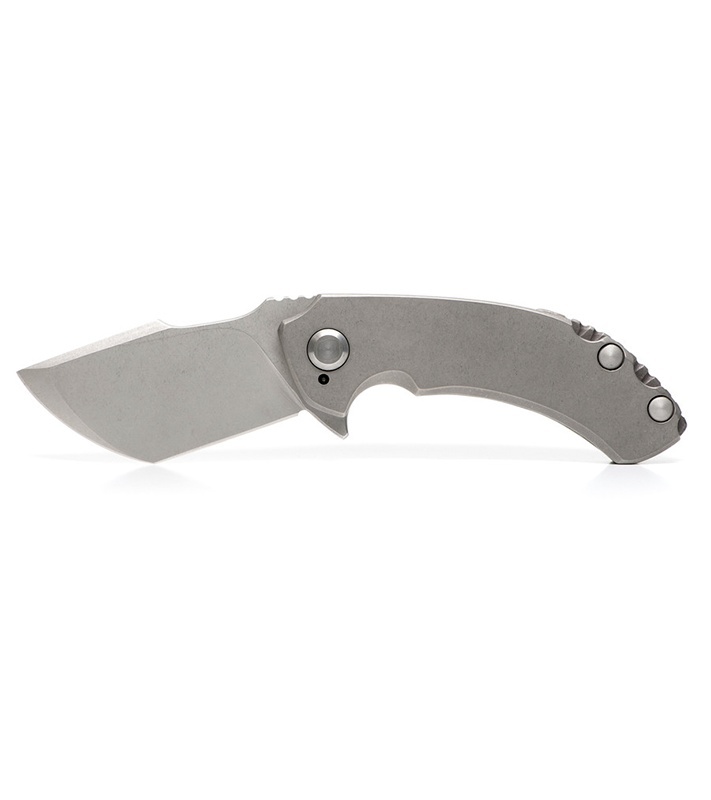 This custom Tanic knife features a full titanium handle with smooth contoured edges with cutouts up top to show off the backspacer. 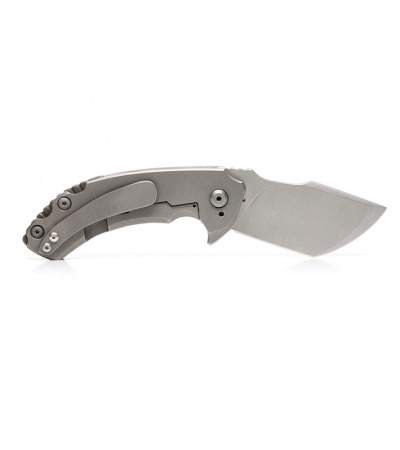 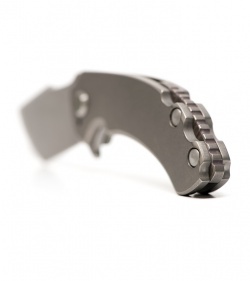 Titanium pocket clip. Flat ground, stonewashed N690 steel blade.